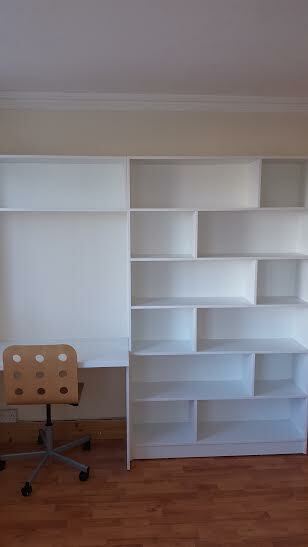 I was given the task of designing a book shelf. 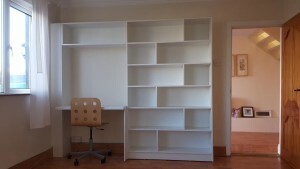 This job was in Greystones so i aptly called the Greystones shelving unit above and the unit has a desk incorporated into it as a workstation. 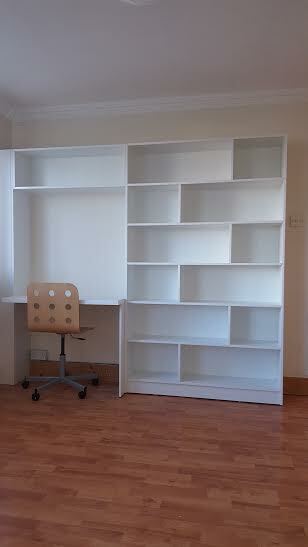 The client wanted it made in white melamine with a white desk to match. There is a hole cut out for computer cables to access the sockets. 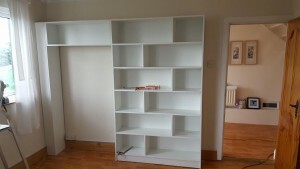 The divides in the shelves are staggered to break up the straight lines that would be there otherwise giving it a good look. I think it gives it a nice affect to the shelving unit as the pictures below show.